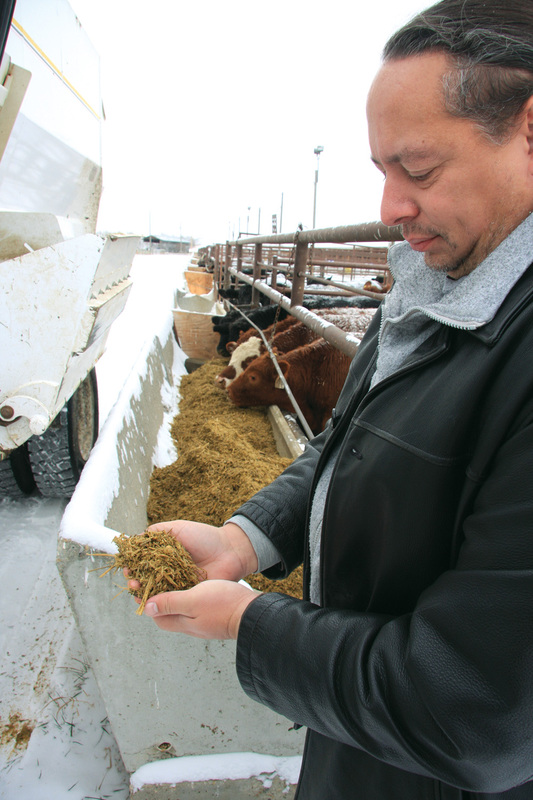 Dr. Hushton Block, beef cattle nutritionist previously at the Agriculture and Agri-Food Canada Bran­don Research Centre and now currently at Lacombe, is interested in finding ways of improving the economic and feed efficiency for beef cattle. One idea Block looked at deals with how beef cattle with better (lower) residual feed intake (RFI) react with backgrounding rations of different diet quality. 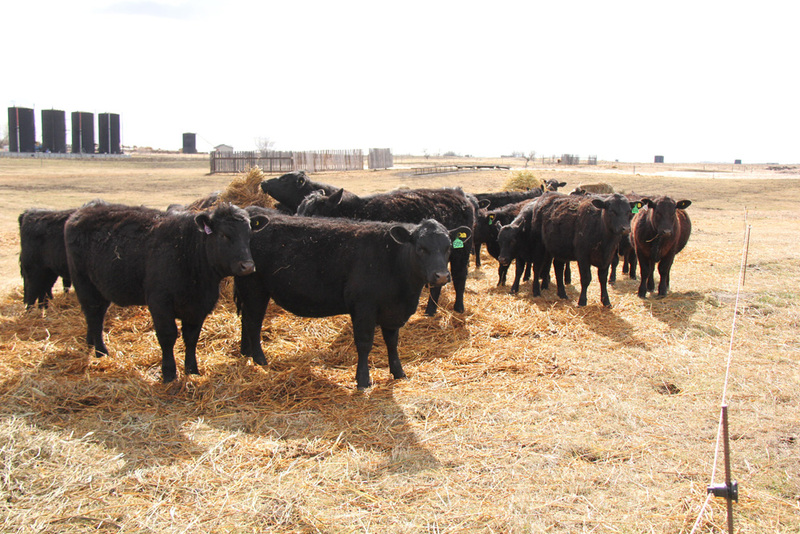 If an interaction between diet quality and cattle feed efficiency could be found, it would mean that selection for RFI may alter the management used to gain optimal beef production from different RFI groupings of cattle. Block tested this idea over the last two winters by feeding steer calves backgrounding diets differing in feed quality to see if they responded differently to the diets based on their feed efficiency type. The steer calves born between late February and early May were tissue sampled for genomic prediction of RFI. 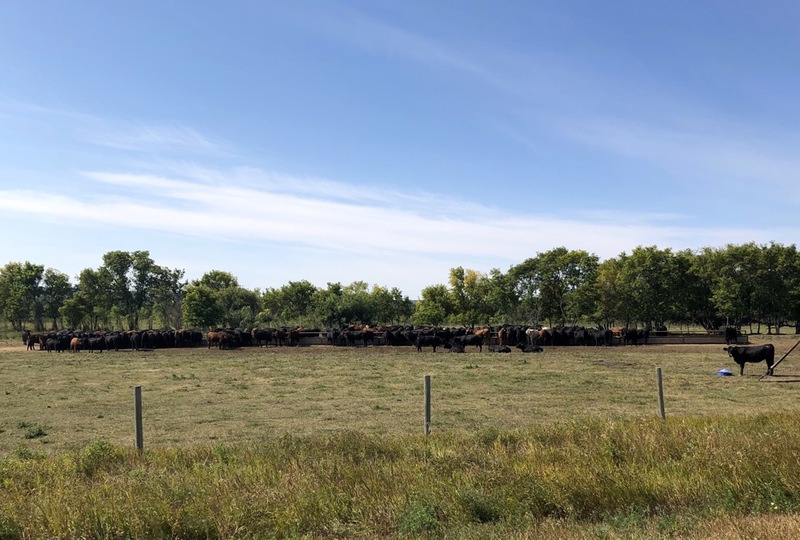 After weaning in mid-September at an average weaning weight of 550 pounds, steers were sorted by predicted RFI and randomized to each of the backgrounding diets. Backgrounding diets were based on Canmore barley and Bunker triticale silage selected by using a newly developed cereal crop evaluation tool. Silages were sampled in August and sent for feed analyses. Feed test results and evaluation showed both silages to be deficient in bypass protein relative to the energy available when used for backgrounding steer calves. “Protein has two purposes in the diet. First you need to meet the needs of the rumen microbes for efficient fermentation of feed and synthesis of microbial protein, and then you need to address the animal’s need for protein with bypass protein. The rumen microbe requirements were met through the rumen degradable protein in the silage, but the combination of bypass protein from the silage and microbial protein from the rumen was not enough to meet the needs of the steers. That is where supplemental bypass protein comes in. It is the added protein that passes through the rumen to the intestines where it is absorbed by the animal,” said Block. “If I were to supplement rumen degradable protein, the extra protein would be broken down through fermentation by the rumen microbes with the nitrogen converted to ammonia and excreted as urea. When I formulated these rations, I didn’t pay any attention to the crude proteins of the feed. I focused on having enough rumen degradable protein to support fermentation and enough bypass protein to support growth potential given the energy content of the feed. 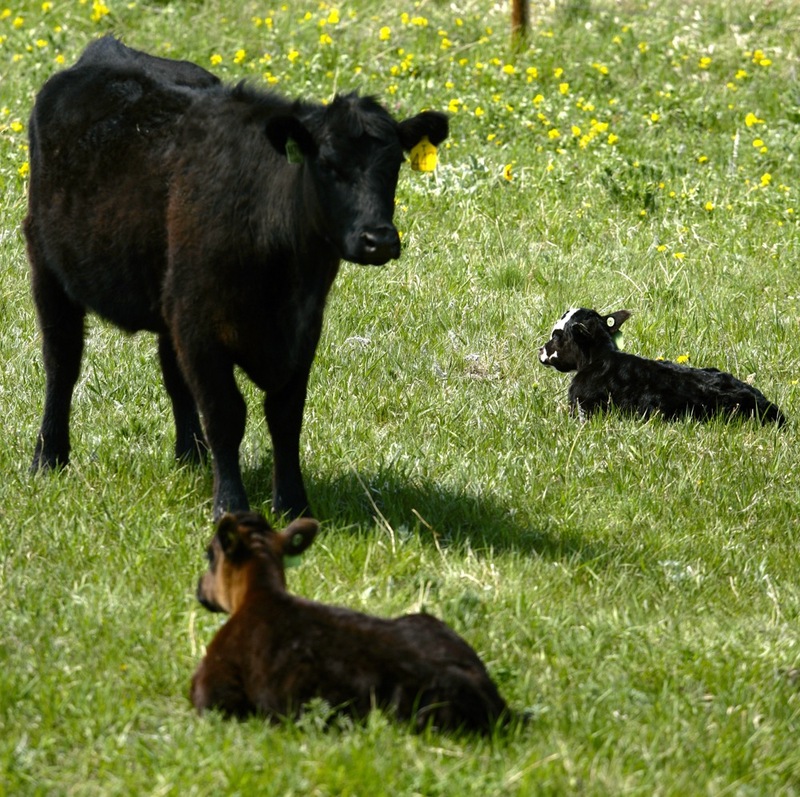 “I requested information from several local feed supply companies on supplemental feed ingredient nutrient composition and prices for a variety of bypass protein sources.” This was entered into a beef cattle nutrient requirement model similar to Alberta Agriculture’s “CowBytes” and several scenarios run where feed intake was set equal to predicted voluntary intake, and the ratio of silage to supplement was adjusted until the ME (metabolizable energy) and MP (metabolizable protein) predictions of allowable gain were equal. Some limestone was needed to correct a calcium deficiency, and vitamins A, D, and E and Rumensin were added to the supplement. Trace minerals were provided through use of trace mineral salt blocks. A corn dried distillers grain with a soluble DDGS based supplement was selected to address the bypass protein deficiency. Diets consisted of 75 per cent silage and 25 per cent supplement on a dry matter (DM) basis. The supplement increased the expected daily cost of feed by 40 to 50 cents per steer after accounting for the savings from lower silage intake, but reduced the expected cost of gain to about one-third of the silage-only option. Without supplementation, steer gain was predicted to be approximately 30 per cent (energy limited) to 80 per cent (protein limited) lower than when the supplement was used. Daily feed intake, monthly weight and ultrasound backfat thickness were assessed during the 112-day backgrounding trial. 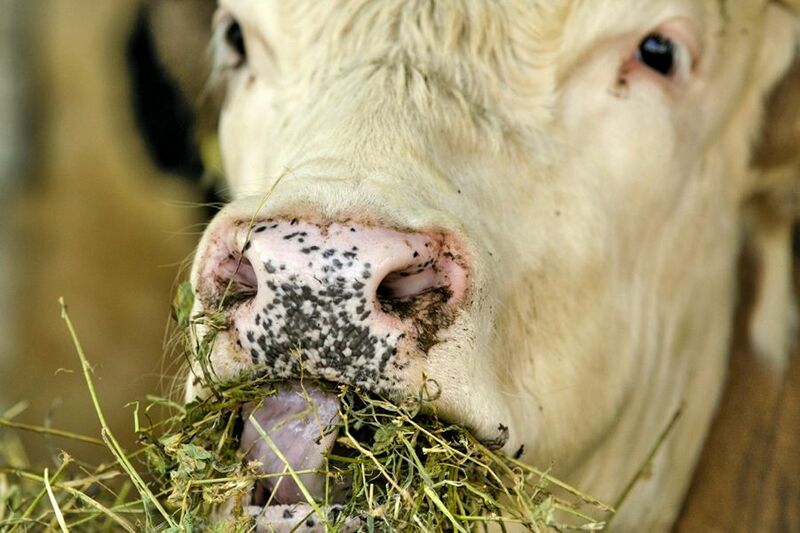 Steers were fed once daily in the morning and the supply of feed adjusted to target negligible leftovers prior to the next feeding. 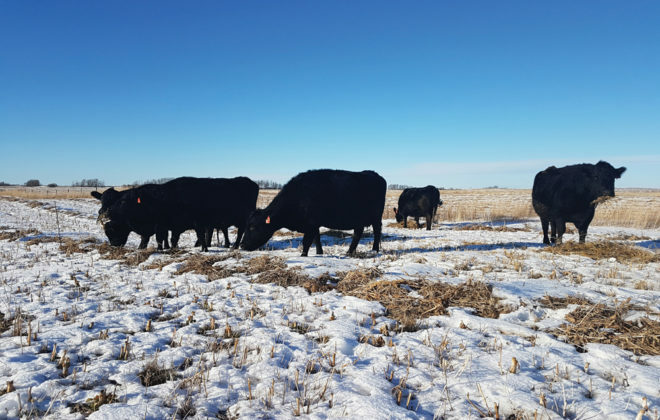 “In evaluating the two years of backgrounding the steers, we found that DM intake differed between silages (Canmore barley 13.2 lb., Bunker triticale 14.2 lb. ); ADG differed between silages (Canmore barley 2.13 lb., Bunker triticale 1.95 lb. ); backfat gain differed between silages (Canmore barley 2.7 mm, Bunker triticale 2.4 mm); and feed:gain differed between silages (Canmore barley 6.19:1, Bunker triticale 7.20:1 kg) based on feed efficiency. We did not see any interaction between cattle RFI ranking and diet quality. 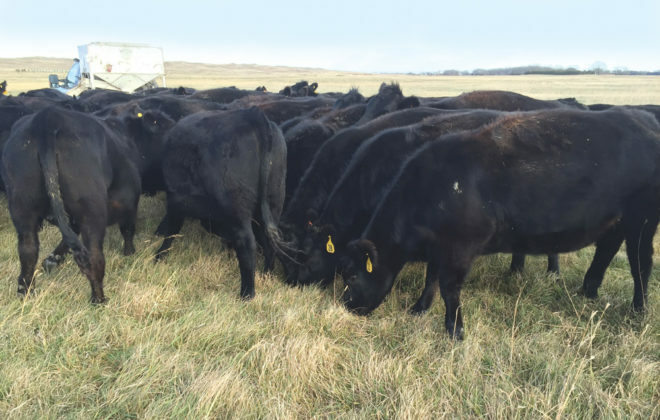 “Where my feed conversion results were better is that I was trying to optimize cost of gain on a silage-based diet and was not seeking to either limit rate of gain or use of supplement. In reality, the steers gained a little too fast as evidenced by the increase in backfat. The use of corn DDGS as a source of bypass protein also added a fair amount of energy and contributed to the improved conversion. 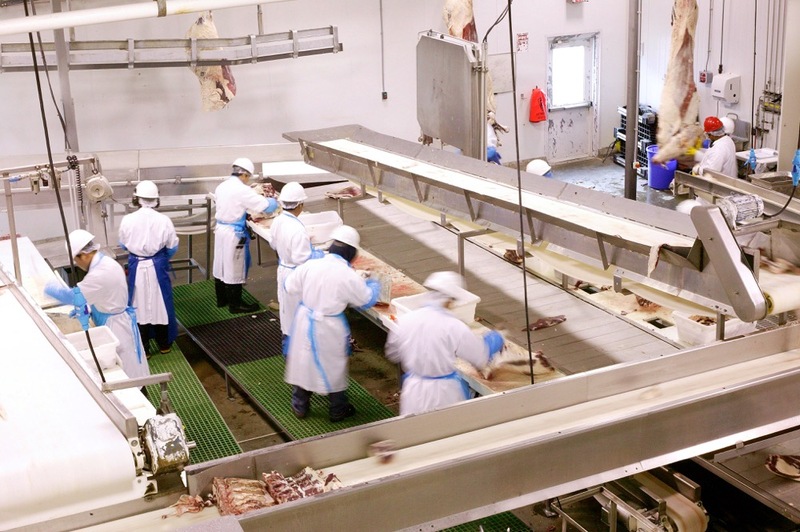 Although mostly a focus during periods of feed shortage, high feed prices, or low cattle prices, improvements in feed efficiency and cost of production can always be of benefit to cattle operations. Block’s study focused on efficiency of nutrient use and strategic supplementation to make the most cost-effective use of the silage. 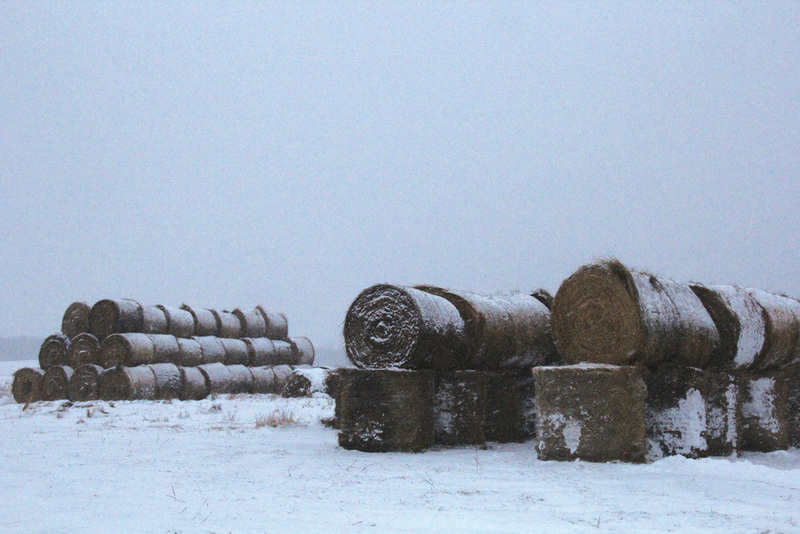 However, it also tracked feed loss for the supplement and found that 2.6 per cent of the supplement was lost in storage in the feed bin, and 5.8 per cent was lost during feeding, for a combined loss of 8.3 per cent. 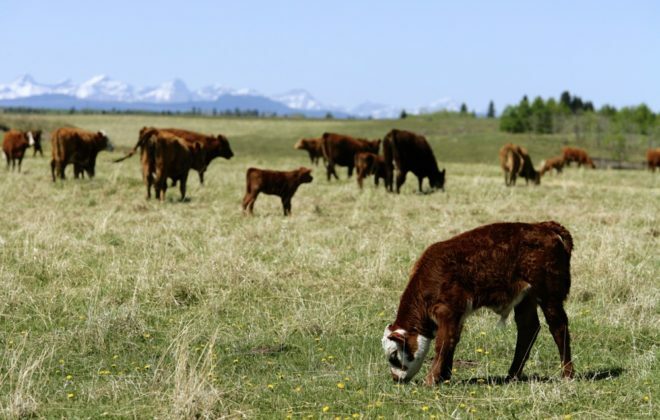 Duane McCartney is a retired forage-beef systems research scientist at Lacombe, Alta.